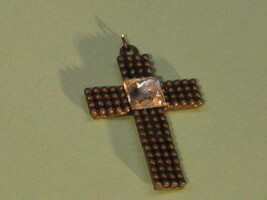 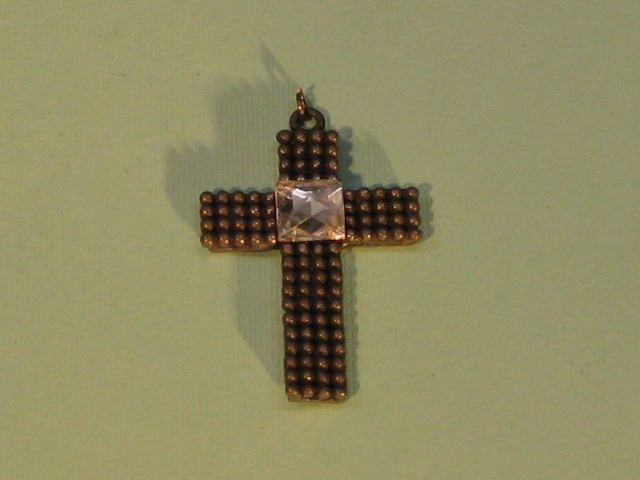 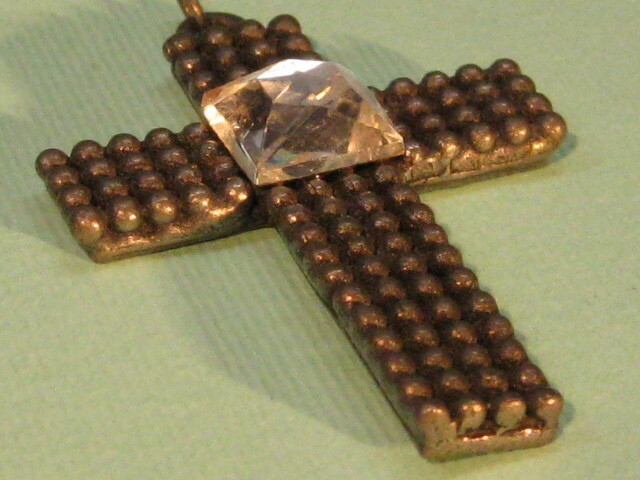 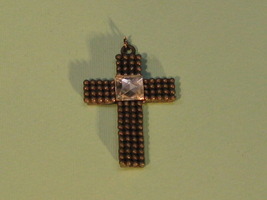 An impressive metal cross pendant crafted in a stylish ball pattern with a glass center stone and is in excellent condition. 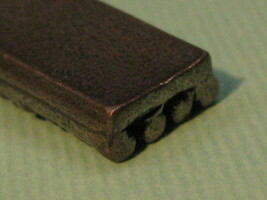 It shows minor signs of wear which is quite impressive considering it's age. The pattern is executed on the front and the back is a smooth metal. 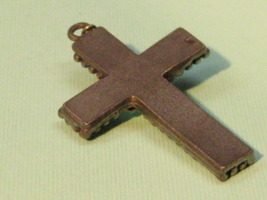 The pendant is quite substantial on the neck due to it's larger size and depth. The cross measures 2 1/4" long, 1 1/8" wide and 1/8" deep.